The Power of Myth is considered a classic of the faith canon, and for good reason. In a 1988 six-part PBS series of the same name, host Bill Moyers and folklore and mythology expert Joseph Campbell place belief within the perspective of human history. The Q&A format makes for a fun read, and allows Campbell to weave a comprehensive picture of faith across cultures and from prehistory to the present moment. From ritual sacrifice to the symbolism of Star Wars, the transcript of Moyers and Campbell's sessions articulates fundamentals of our value systems so widely accepted as to be taken for granted. 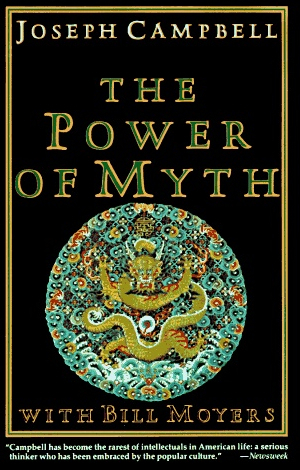 Like a fascinating post-dinner conversation with your fabulously erudite uncle, The Power of Myth is a great survey of the spiritual stories humans have held to be self-evident throughout time. 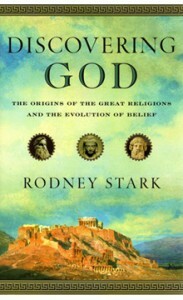 Author Rodney Stark set himself an ambitious agenda in Discovering God: The Origins of the Great Religions and the Evolution of Belief. From primal belief during the Stone Age, through the so-called "Axial Age" of the Buddha, Confucius, Plato, and Zoroaster, to modern Christian missionaries and the rise of Islam, Discovering God surveys every major form faith has taken in the last 2.5 million years. Even more remarkably, Stark does so in under 400 pages, including maps of various religions' births and images illustrating how belief was reified by culture. Ultimately, the book even pushes beyond an anthropological, historical, and sociological study into whether there is, in fact, a there there. "Thus we reach the fundamental question: Does God exist? That is, have we discovered God? Or have we invented him? Are there so many similarities among the great religions because God is really the product of universal wish fulfillment? Did humans everywhere create supernatural beings out of their need for comfort in the face of existential tragedy and to find purpose and significance in life? Or have people in many places, to a greater and lesser degree, actually gained glimpses of God?" Leaving no stone unturned in its quest to draw a map of mankind's belief, Discovering God will satisfy those looking for deep background on pre- and post-modern ideology, and everything in between. "If humans are really natural rather than supernatural beings, what accounts for our beliefs about souls, immortality, a moral 'eye in the sky' that judges us, and so forth?" 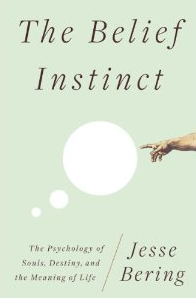 Referencing the latest in cultural studies, neuroscience, and psychology, this engaging exploration of faith touches on the concept of an afterlife, whether animals too have existential needs, and how the movie Being John Malkovich plays on a philosophical puzzle most succinctly formulated by Descartes. Read the full Brain Pickings review from earlier this year here. The Tenth Parallel: Dispatches from the Fault Line Between Christianity and Islam takes you on a riveting tour across the real-life middle earth, with gorgeous language as a guide. Its author, award-winning investigative journalist and poet Eliza Griswold, spent the last seven years traveling along the eponymous tenth parallel—the latitude line 700 miles north of the equator—where more than 60 percent of the world's 2 billion Christians and half the world's 1.3 billion Muslims reside. The Tenth Parallel unfolds across the enormous canvases of Africa and Asia, in deserts and megacities, and shows how completely theology, culture, and politics intersect. Griswold places faith into geographical context, or perhaps the other way around—her discovery being how much land influences what we think about how to live. "We pulled into the pastor's village after true dark—the absolute profundity that occurs only when no city lights bruise the sky plum. He was waiting on the riverbank outside his small house, its windows edged in lace doilies. Heavy-headed marigolds bobed in the gelid breeze the river made. The churning water seemed phosphorescent; the pastor's white eyebrows and hair seemed to glow against the darkness." 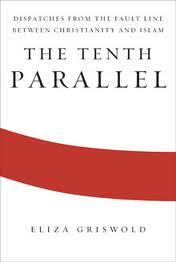 If you want to understand the present and future of global geopolitics but prefer to read breathtaking prose over AP-style wire reports, The Tenth Parallel won't disappoint. 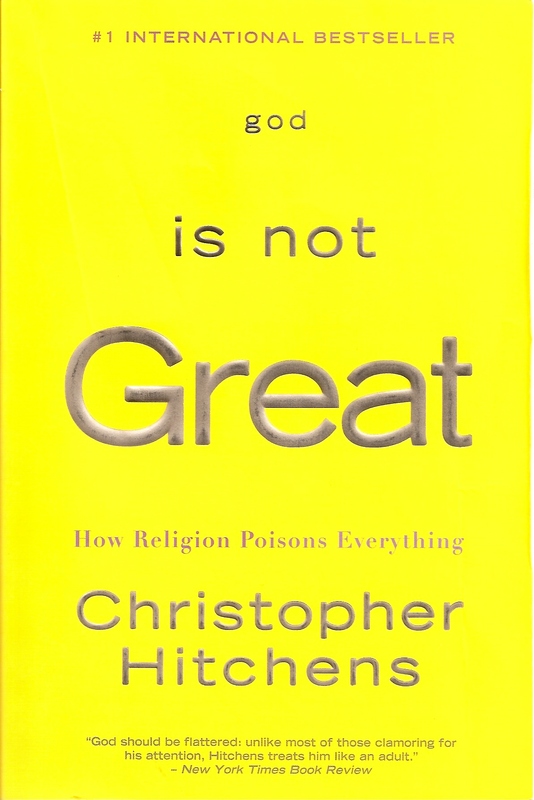 Tailored to those who prefer pugilism to poetry, God Is Not Great: How Religion Poisons Everything by famously devout atheist Christopher Hitchens excoriates every organized religion while also putting a range of historical figures, from Thomas Aquinas to Zen Buddhists, in their place. As an alternative, God Is Not Great proposes a "new enlightenment" with knowledge, reason and science at the center of human pursuits. "Not all can be agreed on matters of aesthetics, but we secular humanists and atheists and agnostics do not wish to deprive humanity of its wonders or consolations. Not in the least. If you will devote a little time to studying the staggering photographs taken by the Hubble telescope, you will be scrutinizing things that are far more awesome and mysterious and beautiful—and more chaotic and overwhelming and forbidding—than any creation or 'end of days' story." Written in the wake of the 9/11 attacks and with Hitchens's signature passion and rigor, God Is Not Great makes a clear case for what's wrong with keeping the faith, historically and today. 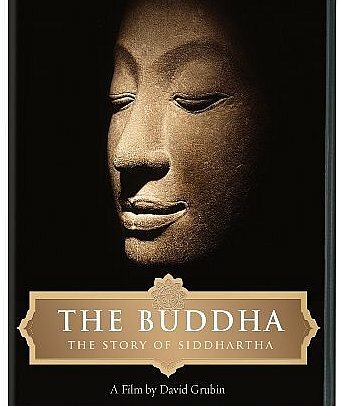 I was thrilled to find that the 2010 documentary The Buddha: The Story of Siddhartha can now be viewed in its entirety for free online. Narrated by celebrity Buddhist Richard Gere, The Buddha is a biography of Siddhartha Gautama, the Indian sage whom the stories say gained Enlightenment more than 500 years before Christ's birth. The chronological tale of his life takes us on a visually stunning journey matching Gautama's travels, from his birthplace in present-day Nepal across the Gangetic Plain and back. Featuring interviews with The Dalai Lama, poet W.S. Merwin, and Uma Thurman's father and Columbia professor Robert Tenzin Thurman, The Buddha both entertains and enlightens. Illustrated by beautiful animations,The Buddha is a meditative and thought-provoking tour through one remarkable man's life. 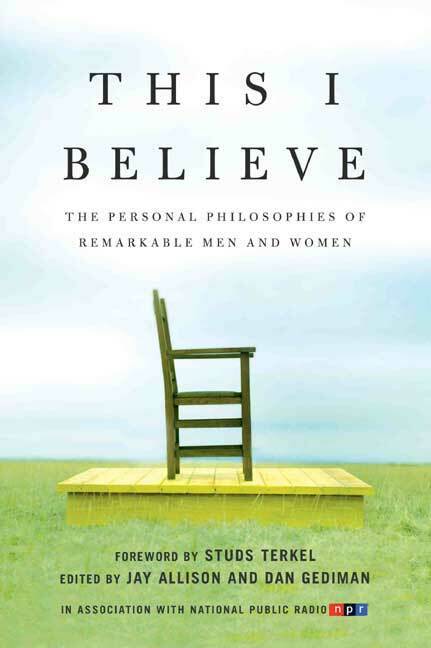 Eighty essays comprise the book This I Believe: The Personal Philosophies of Remarkable Men and Women, based on an NPR series of the same name. The anthology spans nearly 60 years and contains incredibly intimate observations from famous figures including Albert Einstein (♥ ♥), Temple Grandin (♥), Martha Graham, and Helen Keller. We get the personal reflections of Kay Redfield Jameson ("intense experience and suffering instruct us in ways less intense emotions can never do") and the searching doubt of Eleanor Roosevelt: "I don't know whether I believe in a future life. I believe that all that you go through here must have some value; therefore, there must be some reason." A rare opportunity to glimpse the innermost thoughts of prominent people, This I Believe constantly reminds the reader of the vast range of belief which inspires our every action. And if you enjoy the many ideas on display in This I Believe, there's also a second volume of 75 more essays. As society grows increasingly interdependent, understanding each other's existential positions has never been more important. Whatever your own spiritual orientation, we hope the selections here provide insight into the plurality of faith and provoke deeper thought into your own beliefs. Kirstin Butler is writing an adaptation of Gogol for the Google era called Dead SULsKirstin Butler on Twitter" href="http://twitter.com/kirstinbutler" target="_blank">. She currently lives in Cambridge, Massachusetts.